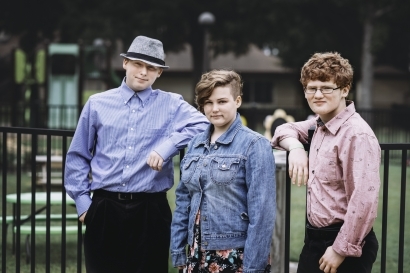 These three siblings have distinct personalities and interests, but they have a common love for the outdoors. These children love the outdoors and just about everything that comes with it. But even in that commonality, what interests them about being outdoors is different for each child. Jada is the oldest sibling, and her primary attraction to the outdoors is an interest in animals. The middle sibling is Gavin, and he absolutely loves fly fishing. Hunter, the youngest sibling, loves playing guitar around the campfire. They also share something else in common – they each struggle in their own ways with feeling like they’re accepted for who they are. That insecurity is not surprising, but it is an important part of their journey. They need a two-parent home to provide that security and stability for them so they can continue to discover who they are and what they can become.